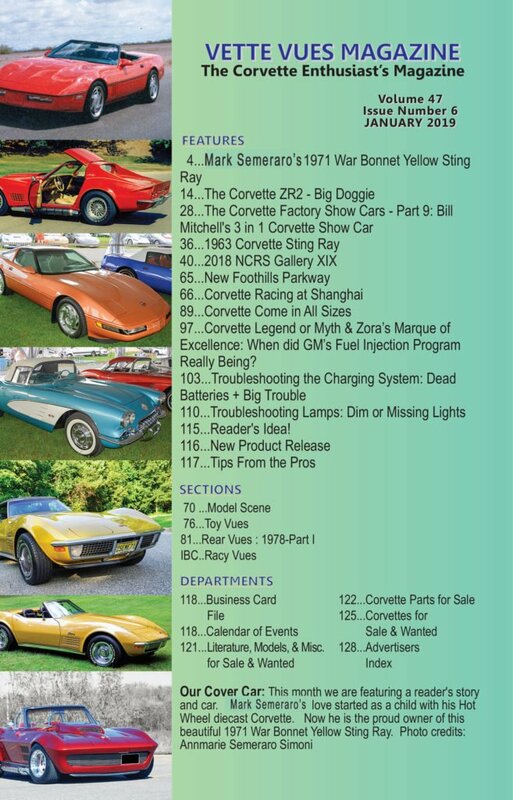 In our Vette Vues Magazine issue preview, we look at the articles that appeared in our January 2019 issue. Our event coverage is from the 2018 Corvettes at Carlisle, NCRS Gallery XIX. We look back at Scott Leon at the Desert Proving Ground in Mesa Arizona when he worked on the ZR-2 Big Doggie, a one-of-a-kind engineering exercise. 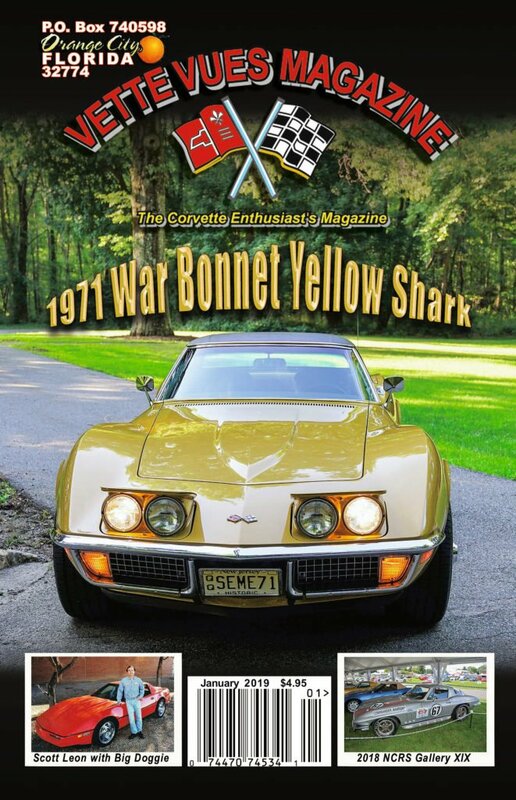 Other features include Mike Semeraro’s 1971 War Bonnet Yellow Sting Ray, Dave Gudgeon’s 1963 custom Corvette and we take a look at the No. 64 Redline/Mobil 1 Chevrolet Corvette C7.R’s new look that raced in the FIA World Endurance Championship’s round in China — the C7.R’s first official race on Asian soil. Wayne Scraba troubleshoots the Charging System on Corvette as well as troubleshooting the lamps. Kenneth Kayser shares with us some history on when GM’s Fuel Injection Program really began. Toy Vues, Model Scene and Classified ads are just a few more of what our subscribers are enjoying this month. 97…Corvette Legend or Myth & Zora’s Marque of Excellence: When did GM’s Fuel Injection Program Really Begin? To Order Back Issues visit our online secure store. 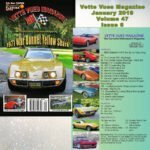 Vette Vues Magazine recognizes the vital role club plays in our hobby. 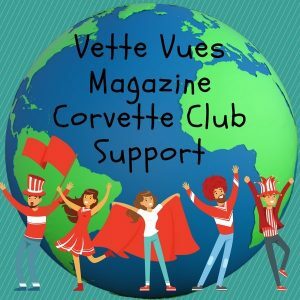 Check out Vette Vues Magazine Corvette Club Support page in our Resource Center. Check out our Corvette Gift Guide with The Best Gifts for Car Lovers.